I wanted channels as I love them on my short boards. After a few conversations back and forward the dimensions were locked in. 8x27.5 and 94L with a swallow tail to assist in stability compared to my favoured pin tails. After waiting 4 weeks it was ready. The first few surfs on it was in onshore lumpy surf. It was really hard to stand on and very tippy, I thought I have bitten off more than I could chew and gone too small. I kept telling myself to wait for clean conditions to use it but the new board froth was too much. That was a few months ago now and I now feel a lot more comfortable on it. I weigh 83kgs so plus a wetty I must be over 85kegs.The board is fantastic on a wave and is really fast, drivey with plenty of release in reo's. I now know to only take it out in clean not so bumpy days but I'm working on that and I hope to use it as my all-rounder with more time on it. The construction is the standard Smik construction. it's super light and the paint job looks unreal. Overall I'm stoked with the board and the service. So the Pro's are - Great finish, stupidly light and unreal performance. And the Con's - very tippy i was gunna say fragile after it was blown off the back of the ute in a freak gust and sustained a small rail crack at the state round at Denmark in the car park but thats my fault. Not the boards. 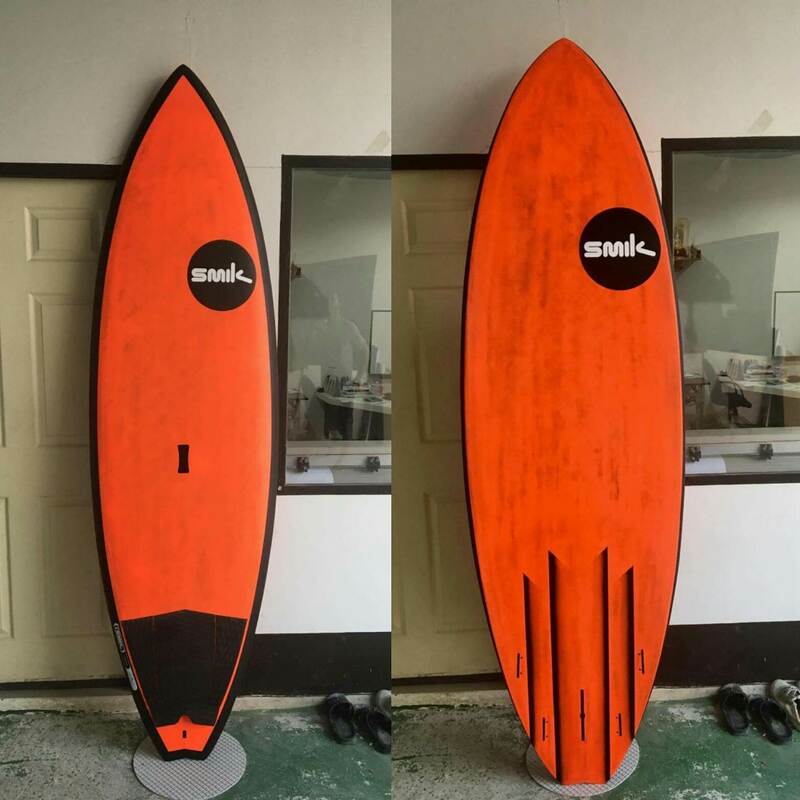 Note: Yes I did receive a small discount as it was my second custom from scotty but it was only small, so yes I have paid for this board.